This year we’re excited to announce we have another set of tickets you can win to attend Bluedot Festival. This year Manchester legends New Order are just one act we can’t wait to see on the line up. 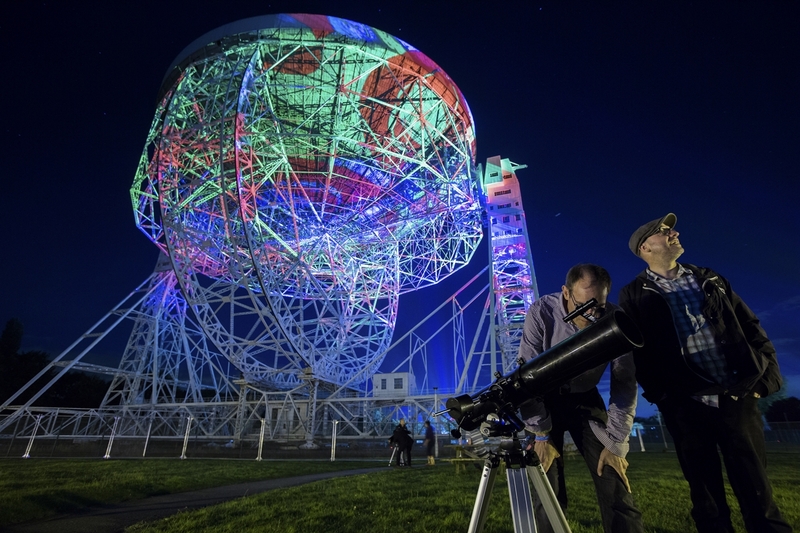 Other headliners Hot Chip and Kraftwerk are also highly anticipated over the weekend hosted at Jodrell Bank. Committed to educating and entertaining, Bluedot is both a science and music festival (and has some pretty decent food and drink too). All you need to do to enter our competition is comment below with with act you can’t wait to see at Bluedot. Be sure to include a valid email address (this won’t be publicly visible ) and name to be contacted if you win. T&Cs: The competition closes at Midnight on 30th April 2019. 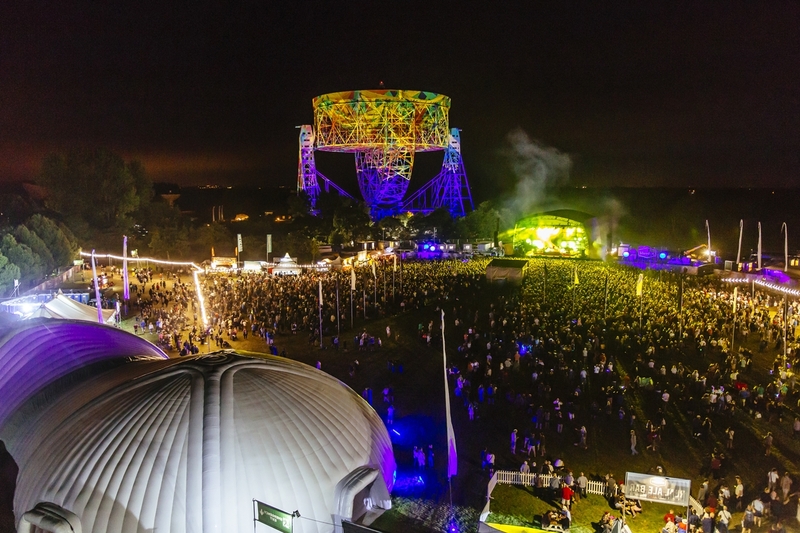 Prize includes one pair (two tickets) of adult weekend camping tickets to Bluedot festival, 2019. Winner must provide a valid email address so you can be contacted to arrange prize. If the winner does not respond to claim prize within 48 hours we may transfer prize to runner up. Each ticket admits one person. One person in the group must be aged over 18. Travel is not included. The prize is non-refundable and no cash alternative will be offered. The prize is non transferable and ID will be required at time of collecting the ticket wristband upon arrival. The prize includes all events and activities at bluedot (subject to availability) but not food and drink from any stalls or bar. Winner chosen at random. The competition is organised by the event PR, tickets are not provided by STYLEetc. The organiser reserves the right to amend these terms at any time. "Jeffree Star Blue Blood Palette Review"
"Escape Hunt launches ‘Alice in Puzzleland’"
I’d really like to see electronic pioneers Kraftwerk. My brother and I travelled al the way to Bilbao to see them at the Guggenheim a few years ago. Unfortunately, my brother somehow managed to leave his wallet in a taxi a few hours before the show. And the tickets were in the wallet. In time we will probably look back on it and laugh. But that time hasn’t come yet! I’d be very excited indeed to see ‘New Order’, along with the other fantastic bands lined up at this spectacular venue – a real space for the stars. I can’t wait to see new order!!! It has to be New Order for music and Paul Foot for comedy. The science is a great ‘extra’ alongside. it would seriously mean the world to me if i could get to watch New Order live. Been a lifelong fan! I can’t wait to see Kraftwerk! looking forward to seeing new order great band. Hot Chip — it just has to be Hot Chip!! New Order for me but Kraftwerk will be a close second! I’d be very excited indeed to see ‘New Order’, along with the other fantastic bands lined up at this spectacular venue – a real space for the star. Hopefully will get to see Omar Souleyman! The brilliant, unforgettable and unique Gruff Rhys. I would love to see Omar Souleyman and of course Kraftwerk! I would love to see Jon Hopkins at Bluedot. Amazing sound and visuals…all under a space telescope! UNE to celebrate the M-une landings! Can’t wait to see New Order – first saw them 30 years ago at Reading festival, playing the brilliant technique album. Got to be Jon Hopkins, that would be amazing. Kraftwork – got the origianl albums, never thought I may have chance to see them. Kraftwerk!! But also love John Grant, New Order, Hot Chip, Jon Hopkins, Jarvis… awesome line-up. Be fab to see New Order! I’m looking forward to seeing New Order. I would love to see Kraftwerk at the festival. I’d like to see gogo penguin as my friends who have travel from the midlands to Manchester rave about them.